To explore patient-related outcomes measures (PROMs) of piezocision-assisted orthodontic treatment compared to a conventional orthodontic treatment using customized appliance. Twenty-four adult patients requiring orthodontic treatment for mild-to-moderate overcrowding in both jaws were randomly assigned to a test group, treated with a piezocision-assisted orthodontic treatment, or to a control group, where piezocision was not applied. The patient-related outcomes were recorded using a 0–10 visual analog scale (VAS). Daily analgesic consumption and pain level were also recorded following the placement of the orthodontic appliance in both groups and after the piezocision procedure in the test group. Moreover, levels of apprehension and satisfaction were also assessed in both groups. In the piezocision group, over the 7-day period, paracetamol consumption was comparable after the placement of the orthodontic appliance and after the piezocision surgery. Pain levels after the orthodontic and the surgical procedure decreased with time (p < 0.0001) but remained globally higher after piezocision (p = 0.0056). Significantly, more patients of the piezocision group reported that they would undergo the treatment again (p = 0.033) and that they greatly appreciated the duration of treatment (p = 0.0008). However, the level of apprehension was significantly higher in the piezocision group compared to the test group (p = 0.012). Although, the degree of apprehension before the surgery and higher pain level in the piezocision group, PROMs emphasized similar pain killer consumption in both group and revealed high acceptance and satisfaction with piezocision approach. The benefit of piezocision-assisted orthodontic treatment seems to be relevant from a patient perspective. The authors wish to express their gratitude to Adelin Albert for their guidance and support. The reviewers are thanked for their significant contribution to improving our publication. All procedures performed in this study involving human participants were in accordance with the ethical standards of the institutional and national research committee and with the 1964 Helsinki declaration and its later amendments or comparable ethical standards. The randomized controlled trial as a whole received approval of the Ethics Committee of the University Hospital Liege (file number: B707201629875). 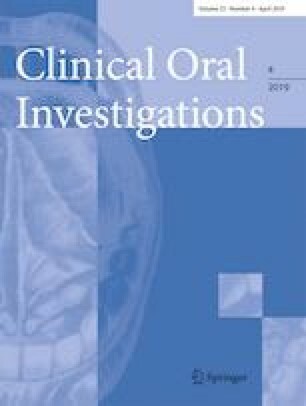 The study was registered with ClinicalTrails.gov (Identifier: NCT03406130). All patients were verbally informed of the purpose of the study and they all signed an informed consent form.